Every year we work to create beautiful ornament and accent themes you’ll absolutely love. Whether you want the traditional feel of our Country Manor theme or a throwback feel of our Retro theme, find the style that fits you! Here’s a peek at the themes we’re most excited about for Christmas 2017. 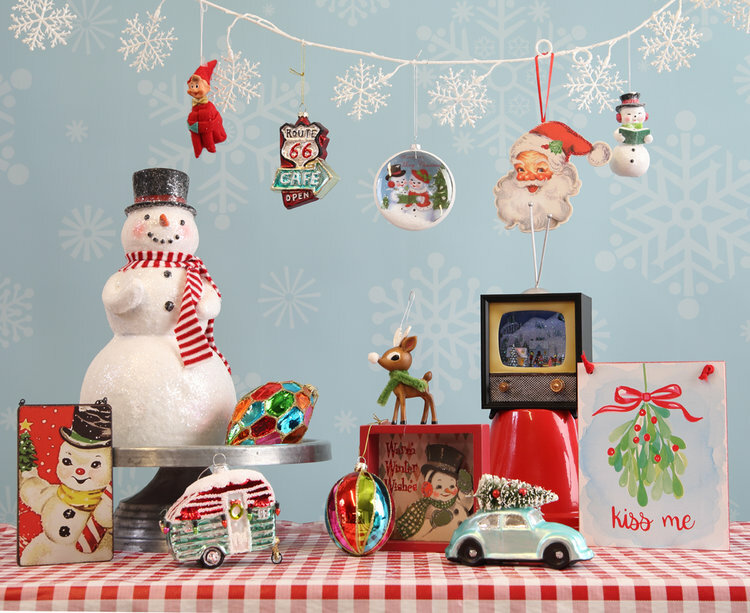 With rosy-cheeked Santas and vintage cars our retro theme has a throwback 1950’s vibe that’s easy to fall for. Enjoy the happy reds, pops of teal, and merry green colors. Modern Farmhouse is a huge trend and home decor and also for Christmas, too! 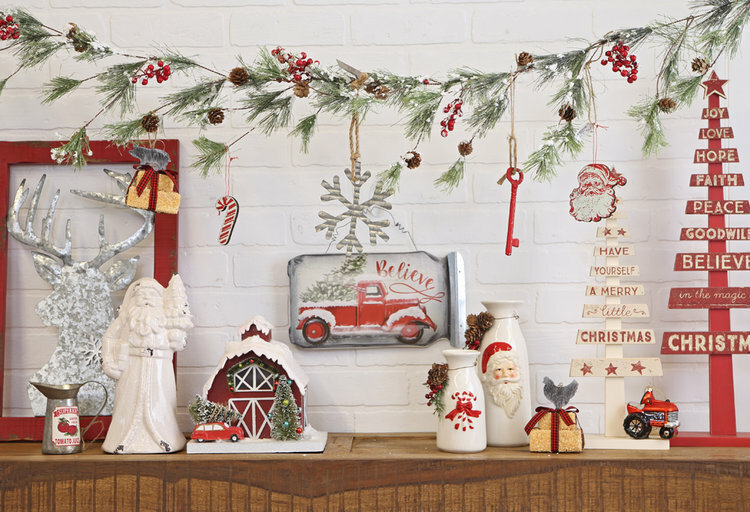 Pull off the look with touches of galvanized, farm animals, vintage red trucks and more in our Farmhouse Theme. 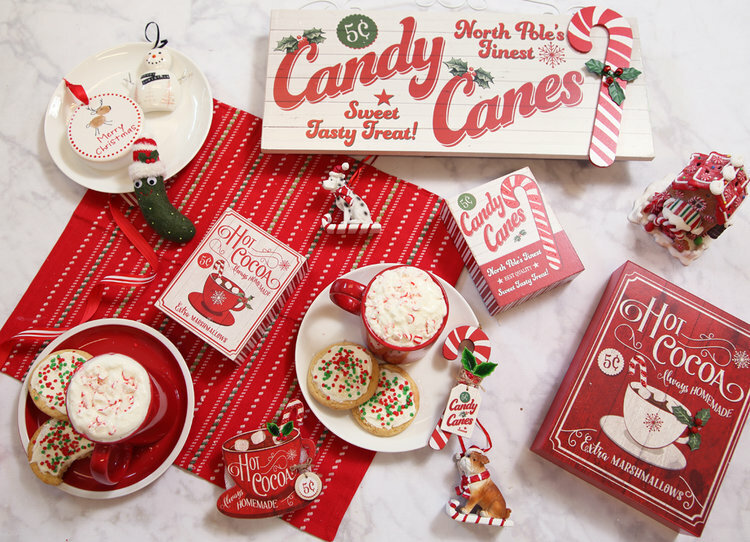 Candy Cane stripes, hot cocoa and gingerbread make up a whimsical them the kids will love in our North pole theme. 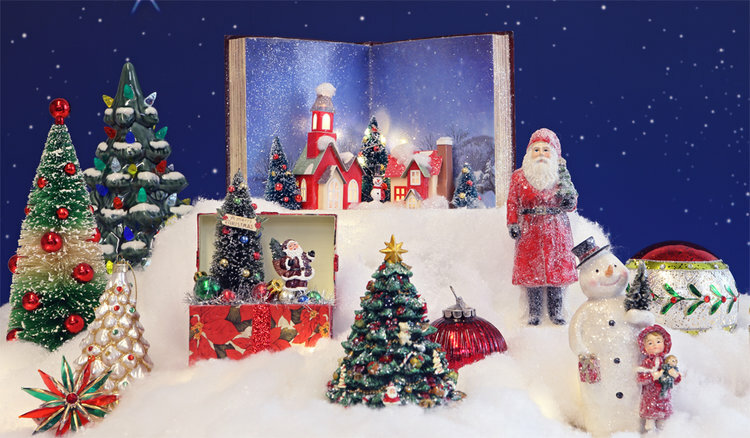 Find happy snowmen, christmas pickles, puppy dogs and more! Travel to Christmases of yesteryear with nods to traditional holiday elements, like tinsel, frosted Santas, paper material and more in our Christmas Past theme. 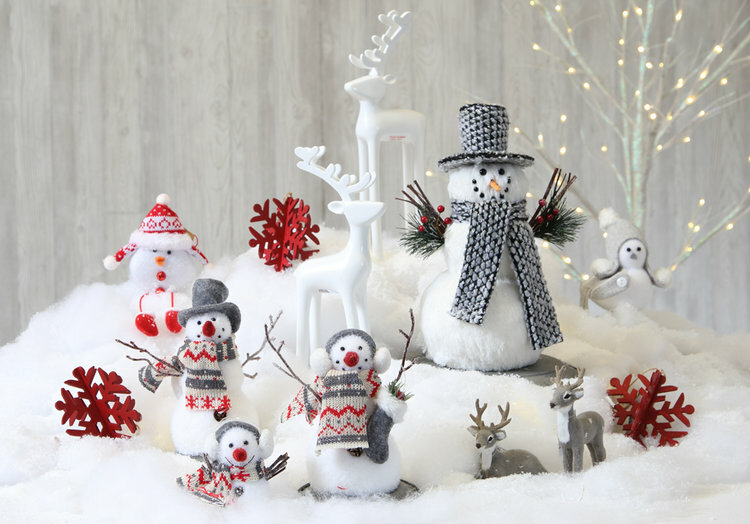 Feel warm and fuzzy with our Warm Wishes theme full of knits, wool, and felt snowmen, deer, snowflakes and more. A beautiful Winter scene inspires our Christmas Garden theme, which features all the best things you may encounter on a stroll through a wintery garden. 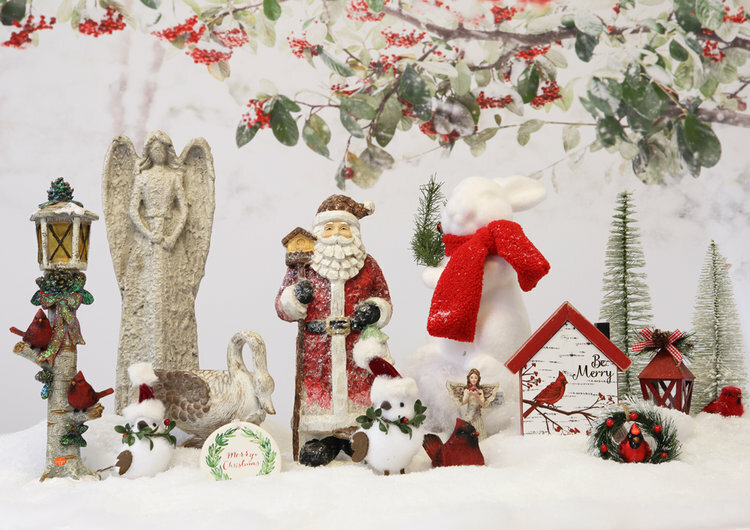 Discover pops of red berries, happy cardinals, beautiful evergreen, winter critters and more. 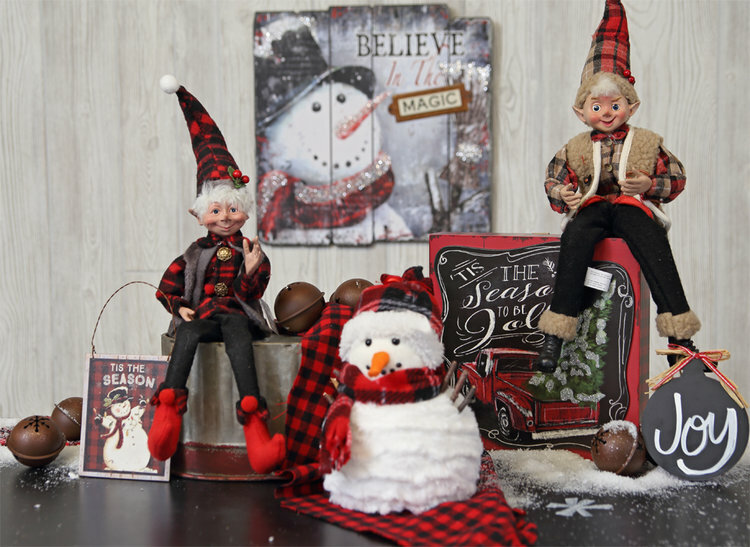 If you’re just a little bit country enjoy the plaids, burlaps and more of our Country Manor theme, now featuring the ever-popular buffalo plaid this Christmas season. ← What’s your favorite decorated Prairie Gardens Decorated Christmas tree?? Vote for fun!